Genesis Sunset Riders (USA) in 10:27.15 by Highness. 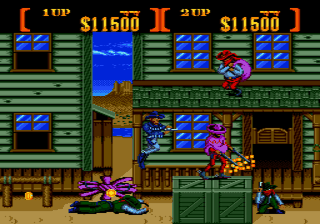 An action-packed wild-west shooting game converted from the arcades. It doesn't have all the levels and characters of the original, but makes for an interesting movie none the less.